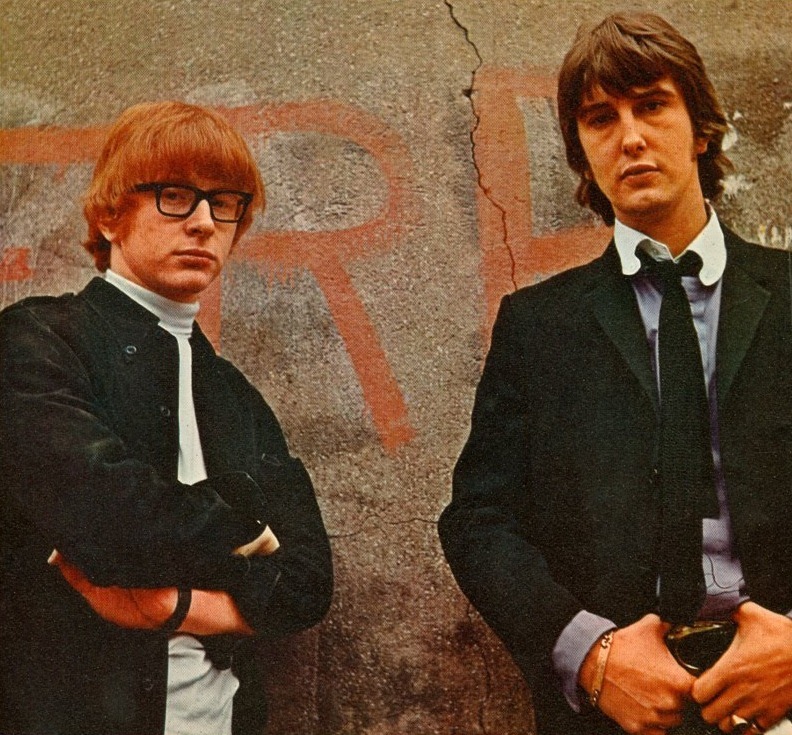 Peter and Gordon were a British Invasion-era duo and formed by Peter Asher and Gordon Waller, who achieved fame in 1964 with "A World Without Love", and had several subsequent hits in that era. Peter Asher and his sister, actress Jane Asher both were also child actors.They played brother and sister in a episode of "The Adventures of Robin Hood". 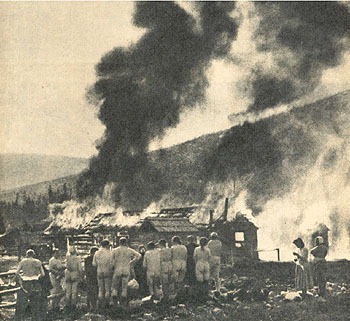 That show was filmed in 1955. Jane Asher dated the Beatles’ Paul McCartney, so Peter and Gordon recorded several songs that were solely written by McCartney but credited, as most compositions by either were at the time, to Lennon/McCartney. Those hits included "A World Without Love" (U.S. #1), "Nobody I Know", "I Don’t Want To See You Again", and "Woman". "Woman" is credited to "Bernard Webb"; McCartney used this pseudonym to see if he could have a hit song without his name attached to it. The song reached number 14 in the US and number 28 on the British charts. Peter and Gordon also recorded the John Lennon-penned Lennon/McCartney song, "If I Fell." Other hits for the group included "I Go to Pieces" (U.S. #7), which was written by Del Shannon and given to the duo after the two acts toured together, and remakes of "True Love Ways" by Buddy Holly and "To Know Him Is To Love Him", by the Teddy Bears, retitled "To Know You Is To Love You." 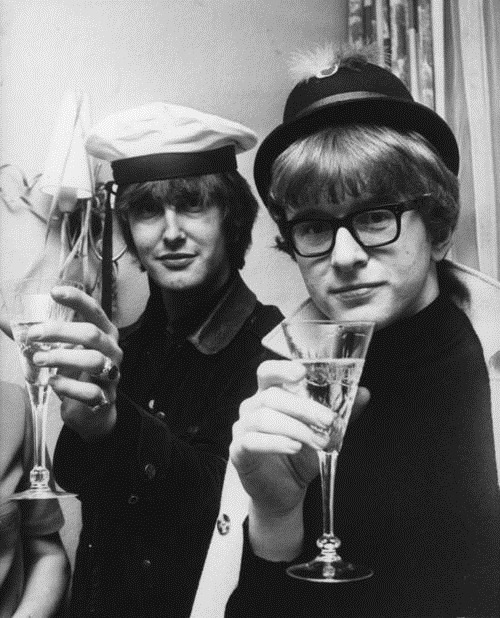 Peter and Gordon had their last hits in 1967, with "Lady Godiva" (US #6), "Knight In Rusty Armour" and "Sunday for Tea." Asher became head of A&R for Apple Records. He continued his career as a recording executive in California, where he managed and produced Linda Ronstadt and James Taylor throughout the 1970s and 1980s. Peter has also produced recordings for Cher, 10,000 Maniacs, and Diana Ross. His daughter, Victoria Asher, is a member of the alternative group Cobra Starship. In August, 2005, Peter and Gordon reunited onstage for the first time in more than 30 years, as part of two tribute concerts for Mike Smith of the Dave Clark Five in New York City. This was followed by more complete concerts at The Festival for Beatles Fans (formerly Beatlefest) conventions that began the following year. Paul McCartney heard about the reunion shows and sent a message to congratulate them for reuniting. In the spring of 2007 and 2008, Peter and Gordon were featured performers in the "Flower Power" concert series at Disney’s EPCOT in Florida. Also in 2007, they performed as part of "Love-In: A Musical Celebration" a tribute to the music of the 1960s, which was filmed at the Birch North Park Theatre in San Diego, California, and released on DVD in March, 2009. The pair played numerous times at the "50 Winters Later" celebration, in February, 2009, to commemorate the 50th anniversary of the death of Buddy Holly, Ritchie Valens and the Big Bopper. This was held in Clear Lake, Iowa, at the Surf Ballroom. They subsequently performed in Chicago, New Jersey and at the Festival for Beatles Fans convention in Las Vegas, July 1 and 2, 2009, where, according to a report by journalist Peter Palmiere for Beatlefan magazine, the pair were the performing highlight of the convention. Peter and Gordon told Palmiere at the Las Vegas Festival for Beatles Fans that they were to perform at the 2006 Adopt-A-Minefield show with Paul McCartney. However, the show was subsequently cancelled by McCartney, due to his impending divorce from Heather Mills. On August 21, 2008, they performed a free concert on the pier in Santa Monica, California. Waller died on July 17, 2009, at the age of 64. “World Without Love", "Nobody I Know", "True Love Ways", and "Lady Godiva" each sold over one million copies, and were awarded gold discs.